There it is. My favorite daughter right now. Why? Because it's Father's Day and she's the only one that invited me over. According to the official Kardashian-Jenner family tree, the I Am Cait star has six kids, so it may seem disappointing only one came through. Although Caitlyn seemed to be joking, I'm sure it stung a little bit. But then again, you've got to imagine they're all pretty busy, so the fact that Kylie did show up should certainly count for something — quality over quantity, right? Spending the night watching the basketball finals is definitely a solid way to celebrate. Given the fact that Caitlyn loves sports — she's a former Olympic gold athlete after all — it sounds right up their alley. No need to go out to a fancy dinner or do anything extravagant if watching the game is something they enjoy. By the way, Chrissy Teigen also joked about the NBA game being John Legend's Father's Day gift too. Sounds like it was a common occurrence. This isn't the first time that Kylie really showed up for Caitlyn. 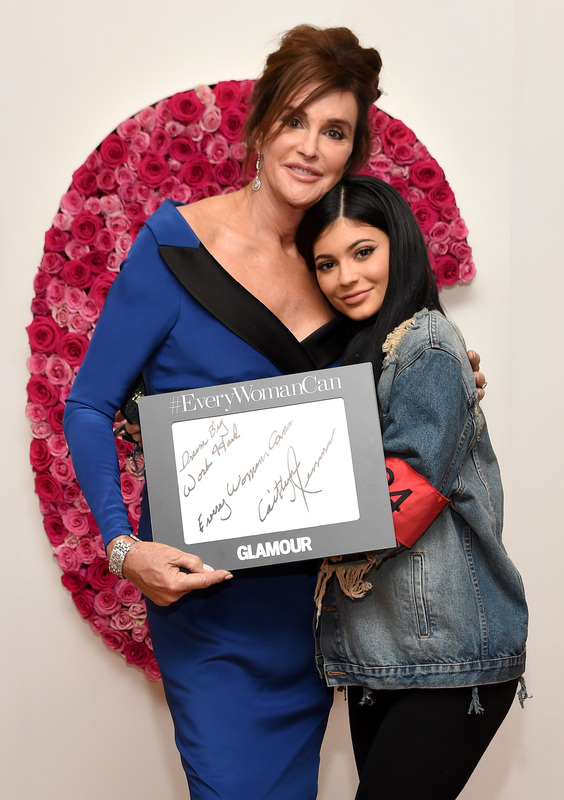 Back in November at Glamour's Women of the Year Awards, she was the only one of her five siblings (or nine, if you count the Kardashian kids who are like second children to her) to watch Caitlyn accept the honor. She's consistently proven she's there for Caitlyn, and I think that matters more than any post on social media could. Not to judge the other siblings' situations, I'm just saying that she truly seems like a great and dependable daughter. Kylie faces her fair share of criticism (over practically everything she does), but I don't think she gets enough credit for being there for her family. Although the famous fam has undeniably been through a lot, it's nice to see that Caitlyn and Kylie remain close. No matter what life throws in their direction, they'll get through the big moments and celebrate the holidays along the way.